FlowVPN provides an unlimited VPN service for all your devices. We manage a network of hundreds of servers across 88 locations in 50 countries to secure and speedup your Internet connection. Get a free trial now to secure yourself with a provider that is constantly investing in new services and technology. 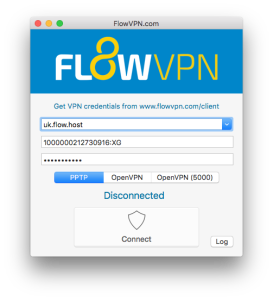 FlowVPN provides VPN clients for macOS, iOS, Windows and Android – just download and click connect. FlowVPN Connect provides an alternative method of connecting to our services using the PPTP protocol. Connect to PPTP VPN services on macOS Sierra using this client. By creating a secure tunnel using the SSH protocol this client encapsulates all VPN connections in SSH hiding your traffic and keeping your personal information private. This client also supports PPTP VPN connections on macOS Sierra. 2. Open Go OpenVPN. You’ll be asked to enter your Mac user password. 4. 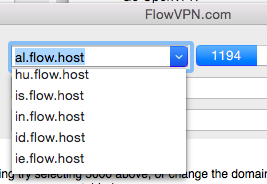 Choose a server from the drop-down menu and enter your FlowVPN account name (probably your email address) and your VPN password. 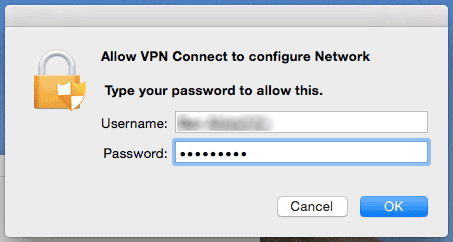 Please note that this isn’t the password you use to log into the FlowVPN website – you can find your VPN password in your FlowVPN client area. 5. Select PPTP or OpenVPN.